Apple might have only unveiled its latest MacBook Pro lineup last October, but for some reason it has already added one of the new models to its store for refurbished products. As spotted by MacRumors, the 2016 MacBook Pro without Touch Bar has landed on the refurbished store. Apple currently offers the laptop in two different configurations, with discounts ranging between 12 to 16 percent off the original price. 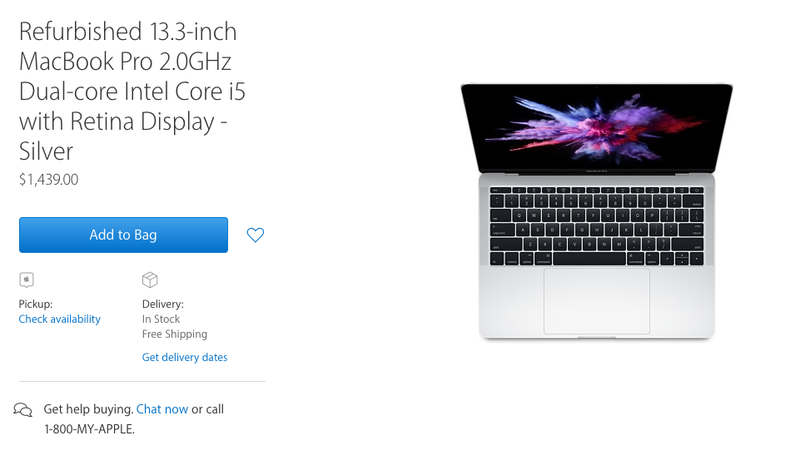 The store currently offers both higher and lower end configurations of the MacBook Pro, but refurbished units seem to come and go pretty quickly – so don’t be surprised if you don’t see the exact same configurations when you visit the website. The Touch Bar-equipped version of the laptop is yet to make its way to the refurbished store. It remains unclear whether Apple has any plans to add the model to the refurbished store, but it could be an option given that the non-Touch Bar version is already there. The Big A takes all of its refurbished products through a rigorous refurbishment process involving detailed inspection, repairs, cleaning and repackaging. All MacBook units come with a one-year warranty with the possibility to extend it with AppleCare. So in case you’re looking to upgrade your MacBook Pro at a cheaper price, this might be your way in. Update: That was quick. 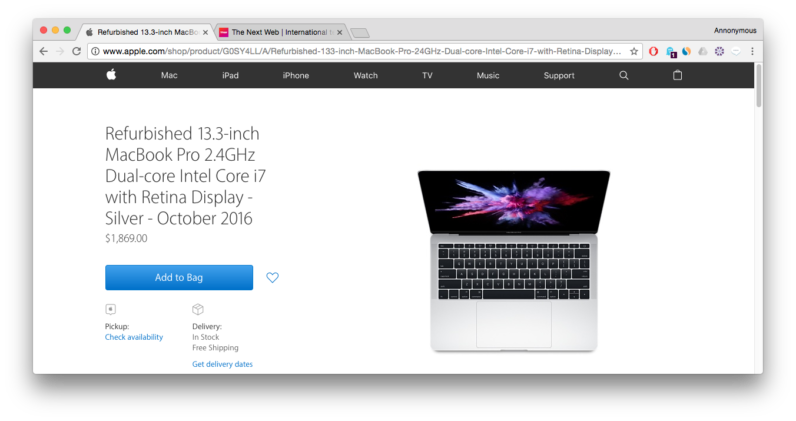 It seems Apple’s ran out of stock of the 2016 MacBook Pros.